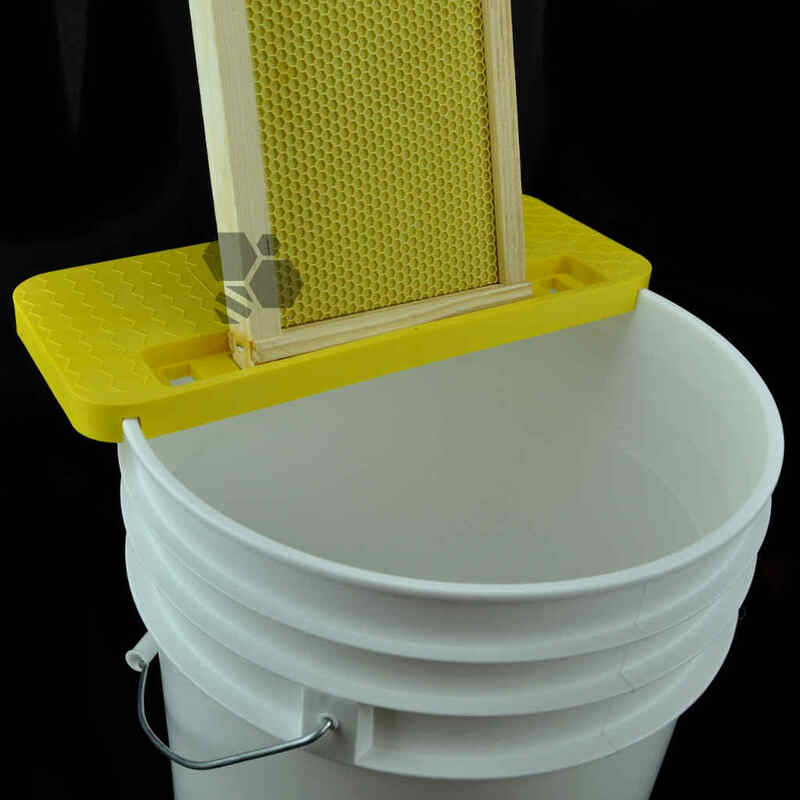 This device is used during honey extraction for uncapping frames. 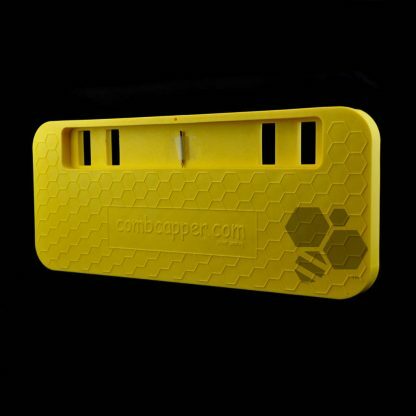 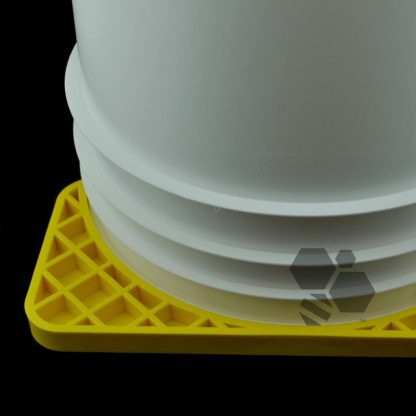 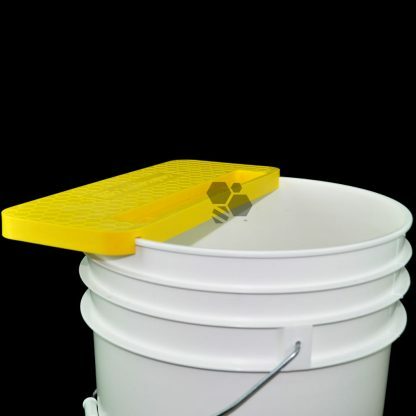 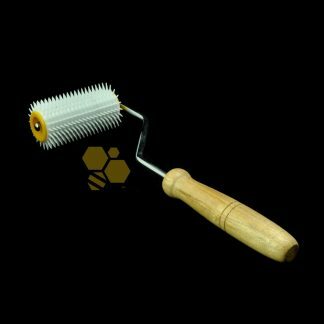 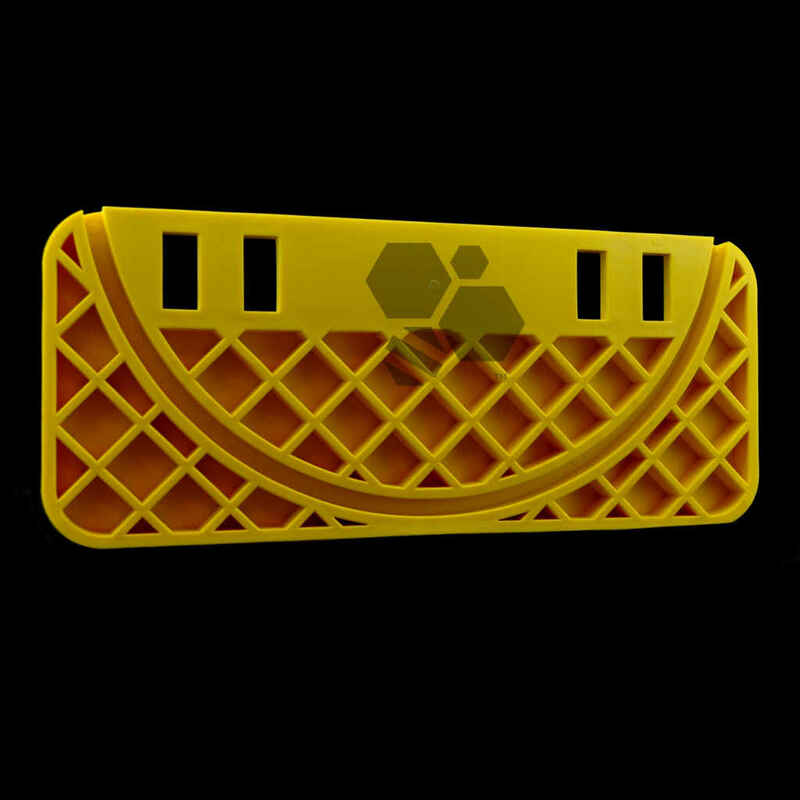 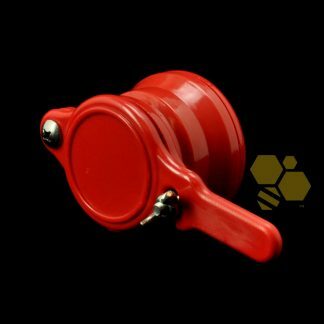 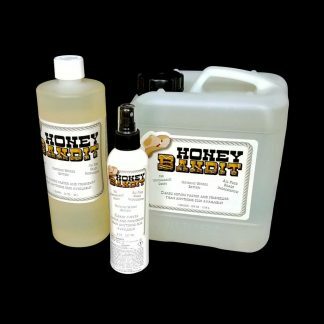 It can be used in replacement of an uncapping tank by placing the combcapper on top of any standard 5 or 6 gallon bucket, then placing the honey frame in the notches. Next, uncap the frame using a method of your preference (knife, scratcher, roller, etc) and let the cappings fall straight into the bucket. The notches hold frames of virtually any size and material (wood and plastic, shallow, super, and deep frames). 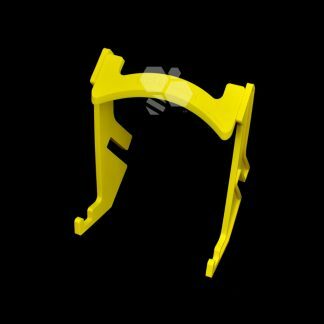 Frame notches also hold the frame securely in place, upright, which allows for convenient hands-free use. 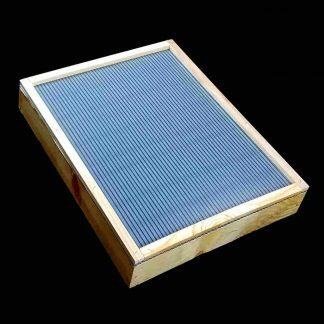 Includes a stainless steel nail and pre-drilled hole for ease of rotating a frame that is being uncapped.